Our marketing efforts for our clients in the healthcare industry is proven to build patient trust, increase practice security, and significantly boost digital reputation. 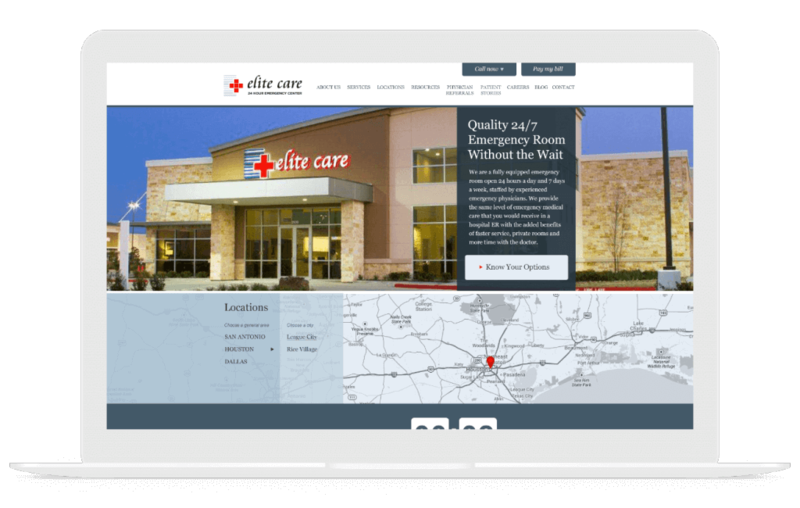 Our work with medical websites includes hospitals, emergency centers, practitioners and others in the healthcare field. Our team is trained to craft designs and content that fulfills the unique messaging goals and legal requirements of the healthcare industry. We never sacrifice your integrity or credibility. Gravitate is a full service, in-house digital marketing, and design agency with over 17 years of experience in the creative industry. We develop integrated marketing solutions that drive business and boost revenue. We don’t need to outsource your work overseas or to robots. We are real people, with a real passion for what we do—see for yourself. As mobile and tablet browsing begins to eclipse desktop computing, everyone from small clinics to large hospitals are building device-agnostic experiences through responsive design. 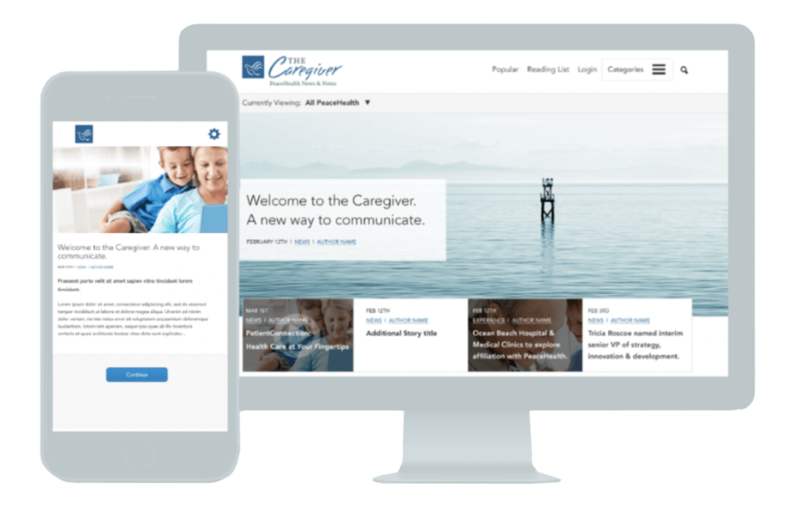 Our content strategy involves thinking about and researching how your current and potential patients will interact with and advance through the website. Then we design a mobile-first website, ensuring that everyone has a seamless experience on all devices, set up geolocation so that the nearest clinic or office is easily found, and we continue to A/B test our solutions to obtain the optimal performance. 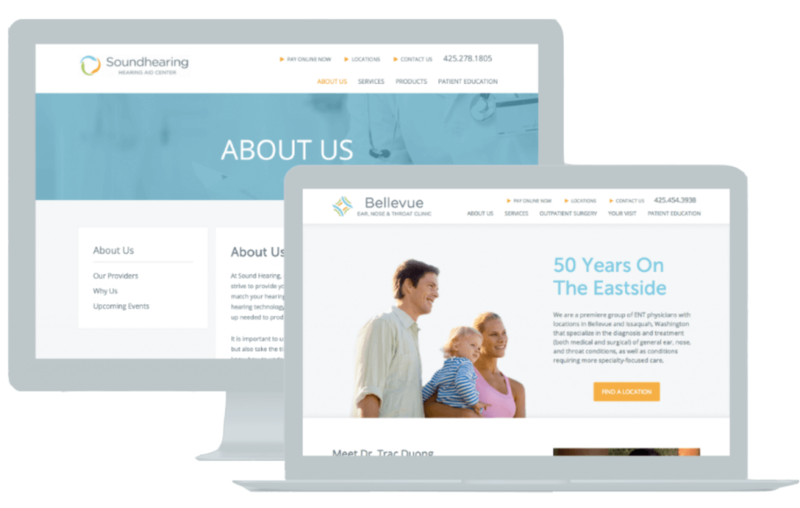 Our medical and healthcare industry websites lay the foundation for ongoing marketing, patient retention, and ongoing customer attraction. Our process helps establish and solidify your brand identity, substantiate an online presence, and optimize your content for targeted keywords and phrases. Although you won’t compete against Mayo Clinic or WebMD, you will appear in local search results and branded keyword searches. This means your professional, optimized website (and the content you’re producing and promoting) will appear in front of more potential, local patients when they’re at the most impressionable stages of the patient journey. There’s a lot of red tapes and legal hoops to jump through in the healthcare industry—especially when you’re marketing a clinic, practice, or emergency center online. Our strategists, UX designers and writers all not only adhere to best practices but also put patient security and ease-of-use at the very top of our priorities when building and creating content. We also ensure your appointment requests and patient forms are up to HIPPA regulations and the entire website is AA compliant with WCAG. It’s important we remain knowledgeable and current on healthcare law, reforms and legal requirements. This influences our copywriting, marketing and design suggestions. We are fully aware of the importance in following medical and insurance guidelines, as well as legal ramifications when these are not adhered to. We are continually building our library of healthcare resource articles and federal legal reforms surrounding medicine and hospital laws. Ready to start a project or really curious about our process? Drop us a note or give us a call: (888) 641-7313; we’re happy to answer all your questions. HIPAA, a well-known acronym for Health Insurance Portability and Accountability Act, was enacted in 1996 and designed to protect personal and sensitive patient information and other health information provided. . .
Based on a recent wave of litigation—and the ensuing press and industry coverage—organizations around the globe are clambering to ensure their website is ADA compliant. Updating an existing site to make it compliant can. . . Learn to capture attention quickly throughout the entire health-care-related journey across devices and channels. How do I attract new patients through the web?